What our customers are saying about our Holiday Cottages In Llanwrda To Rent. "We stayed here for a week and wished it had been much longer. 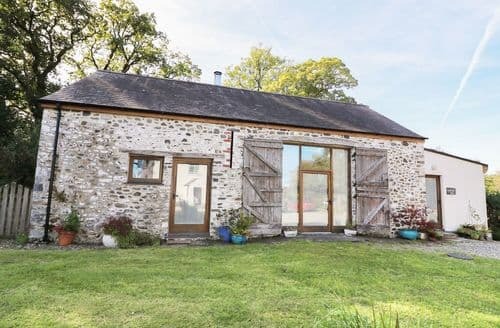 The barn conversion is superb - very cosy and warm and built to high environmental standards - sheeps' wool insulation, sedum roof over the end room etc. Simply furnished but comfortable and contains all you need. Lou was very friendly and welcoming but not intrusive - a perfect combination! A couple of useful hints - the track to the barn is fine so long as you take it slowly and don't have low-slung suspension on your car. Wi-Fi is rather random but worked well enough for the week. (Why would you need anything better in such a peaceful remote setting?!) Mobile signal (Vodaphone) was good. We were welcome to explore the surrounding fields - a botanical paradise that kept my husband happy for hours :-) The surrounding area is a lovely tangle of tiny lanes bordered by trees and flowers, and there are good walks and views nearby. A bit further afield there are several lovely Nat Trust properties, plus good pubs, scenic drives, etc. I could have spent the whole week in the barn or its informal little garden just reading and listening to birdsong, but fell in love with the whole area. Wonderful!" 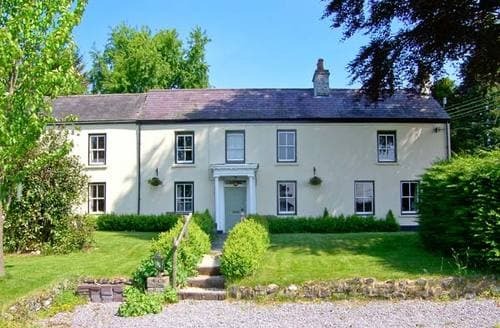 "We were given a warm, friendly welcome by our hosts, Lizzie and Dudley, on our arrival, which included a nice bottle of wine and some cakes. This helped to settle us in to the cottage. Downstairs there is a lounge/dining room next to a small, well equipped, kitchen. Upstairs there are three double bedrooms, all with en suite bathrooms with comfortable, clean beds.The first bedroom has a double sized sofa bed and can therefore be used as another sitting room if preferred. The en suite bathrooms had a plentiful supply of hot water and soft towels. 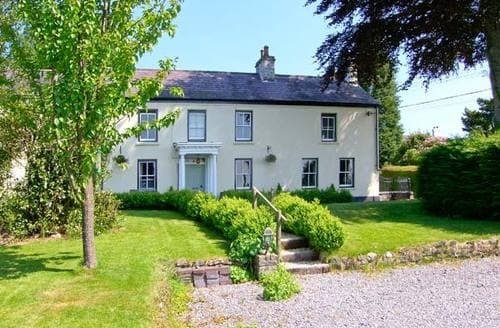 The cottage is situated in the heart of beautiful countryside with glorious views. There are plenty of places to visit locally, particularly if you like parks and gardens and wildlife in general. The local people we met were full of smiles and seemed delighted to see us. We think they appreciate visitors and are determined to make you feel welcome. There are plenty of places to eat, providing good food; we found 'The Dragon Stones' menu in The Torbay Inn at the nearby town of Llandeilo was enjoyable." 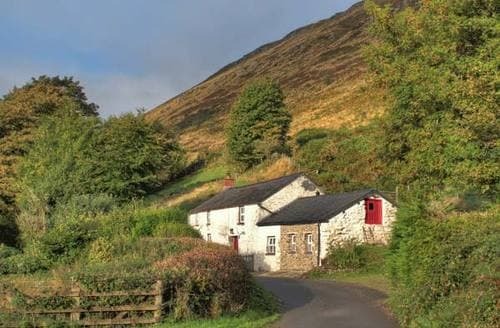 "The stay at S6308 is worth it for the journey alone ... once leaving the dual carriageway, meandering country roads which pass through carmarthenshire villages (or brecon beacon beauties!) 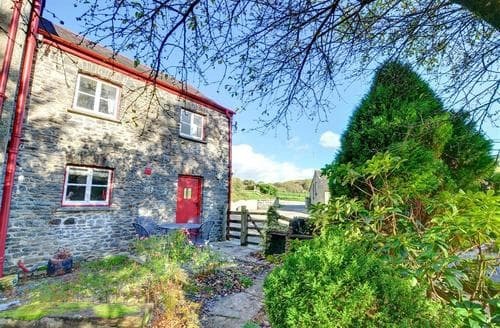 give way to a country lane which delves deep into the Twyi Valley, and then a true countryside driveway with gentle bumps and stunning views. The journey ends in this heavenly barn, thoughtfully converted and perfectly peaceful. 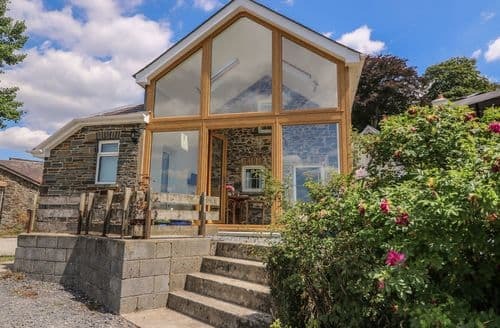 Stylishly, yet comfortably furnished - the time & care put into the barn is evident at every turn. A woodburner in the bedroom was a wonderful surprise, and tempted us to bed early - when we weren't outside gazing in wonder at a sky full of stars. Lovely walks to be found on the property, and the villages and areas nearby are filled with adventures. But why leave when you have all you need here? Worth stocking up on local produce in the shops of Llandeilo - or at the farmers market on Friday mornings, just so you don't have to leave. Ask Adam & Lou for directions to explore the woods by the stream on their property,"